Norman has worked for Rover, VW, Fiat and Renault during his career. LONDON -- PSA Group named industry veteran Stephen Norman to lead its UK Vauxhall brand, just days after the French automaker announced further job cuts in Britain. Norman, 63, moves to the role from his post as PSA's chief marketing officer, PSA said in a statement on Thursday. He will also be in charge of Opel operations in Ireland. Norman will be responsible for implementing PSA's PACE business strategy in the UK and Ireland. The plan aims to make Opel and Vauxhall profitable by 2020. Vauxhall executives are pleased that a top PSA executive and an ally of CEO Carlos Tavares since their days together at Renault will be in charge of the British brand. It shows how important the brand is to PSA and the urgency to make it profitable again, a Vauxhall source said. "PSA is taking us very seriously, and that we have been a force to be reckoned with and can be again," the source told Automotive News Europe. Norman said the future of Ellesmere Port is closely linked to Opel-Vauxhall's sales performance. "The two are inextricably linked," he told reporters on Thursday. "If we manage to make a radical improvement in Vauxhall's fortunes in the UK and my future colleagues in Opel across the continent do the same in their markets, particularly in Germany, then there will be a requirement not only for every possible unit of production that we've got but maybe even more besides," he said. PSA acquired Vauxhall last year when it bought General Motors' money-losing European arm and has been pursuing a restructuring plan to return it to profitability, reducing the workforce at its Ellesmere Port plant in northwest England by a third, sparking fears over the site's future. Vauxhall lost its usual second place in the UK sales charts last year to VW brand after its registrations fell 22 percent, according to data from UK industry association SMMT. Ford remained the top-selling British brand. The UK is Opel’s second biggest market after Germany. Last year Vauxhall's UK sales were higher than those of Peugeot and Citroen combined. Norman has worked in the UK, France and Italy. He started his career in 1976 with the Rover Group, where he rose to become marketing director. He was also head of Volkswagen in France and Fiat brand's global marketing director. In 2007 he joined Renault as head of marketing and communications. Norman was brought to PSA by Tavares in 2014 as marketing supremo after retiring from Renault. He replaces Rory Harvey, who is leaving Vauxhall the business at the end of February. 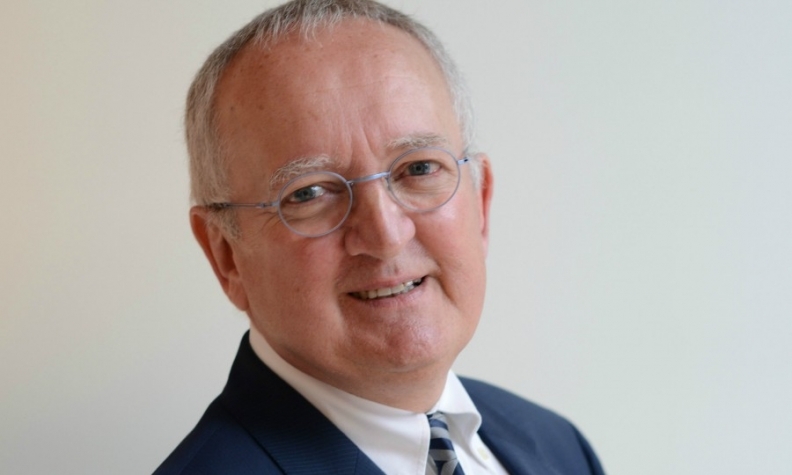 Alberic Chopelin will succeed Norman as PSA's chief sales and marketing officer. He will have overall responsibility for sales and marketing for the Peugeot, Citroen, DS, Opel and Vauxhall brands, PSA said in a statement.